We are passionate craftsmen specialising in classic car restoration and servicing of Triumph cars and other Classic cars at very competitive prices. 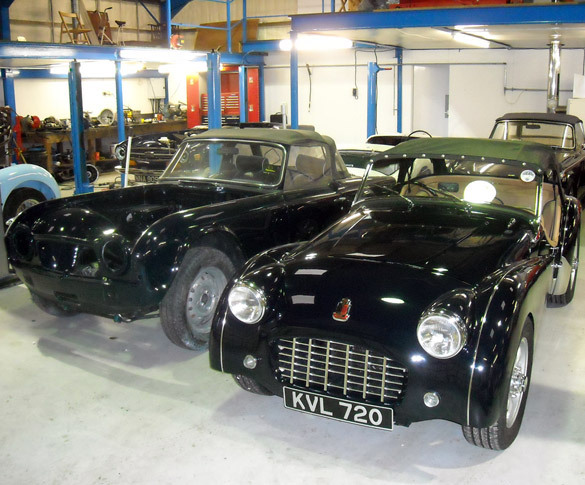 Whatever your classic car needs from a simple service, panel or structural welding to a full restoration, we can help. We specialise in Triumph TRs but whatever your car needs we are here. We hold a vast stock of TRs ready for restoration. To discuss your requirements, please call our showroom on 01925 756 000 or Click to view our current stock.